Johan obtained his master degree at Utrecht University in statistics for the social sciences in 2008. Subsequently he moved to Rotterdam to do a phd. The phd project took place as a collaboration between the department of Bioinformatics and the department of Biostatistics, at the Erasmus Medical Center. The focus of the project was on method development for the analysis of high-dimensional data typically encountered in bioinformatics and chemometrics. In addition, a part of the job was dedicated to consultation, ie. giving methodological and statistical advice within patients- oriented research projects in the hospital. After obtaining his phd Johan continued working at the department of Biostatistics, now in a postdoc position in collaboration with the department of Materials Science and Engineering of Delft University of Technology. The focus of this project was on the improvement of statistical methodology for the analysis of X-ray diffraction profiles generated in Delft. 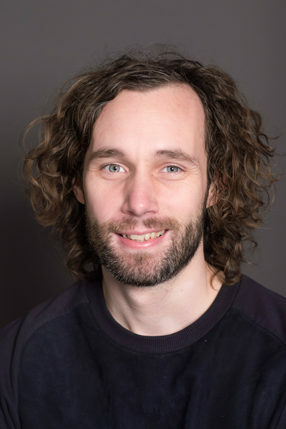 In October 2014, Johan started at the University of Amsterdam to do a postdoc at the Biosystems Data Analysis group working with data form the COPSAC resaerch center. Johan is situated in Amsterdam but visit the COPSAC research center regularly.